Our CS:GO Recoil control guide explains how to practice recoil control, the recoil patterns of each weapon, recoil control tips, and the best recoil control maps you can play on to improve. 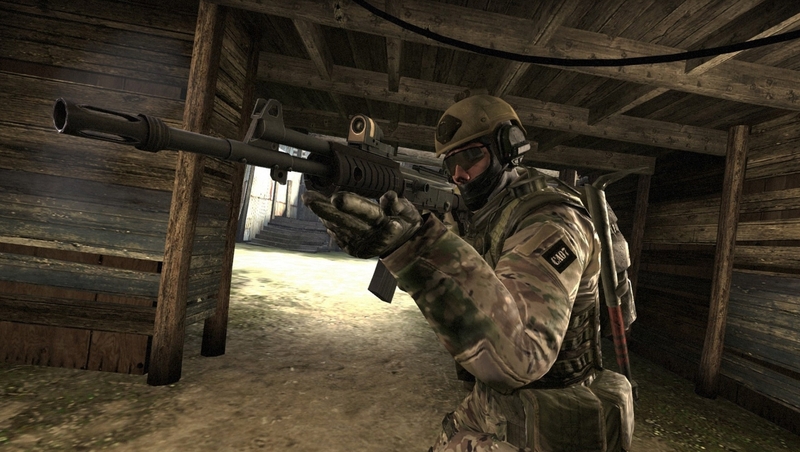 It won't take players long at all to discover that CS:GO can be a brutally unforgiving game, with no end of ever-deepening systems and mechanics to master once you've got to grips even with the basics of play. Although it's true that more mainstream FPS games such as Call of Duty feature weapon recoil, it typically amounts to nothing more than a gentle kick that doesn't really require much skill to accommodate. As a general rule, a quick flick of the mouse or joystick is usually enough to compensate. It should not come as a surprise to learn that things are a bit more complicated in CS:GO, with each weapon having a specific recoil pattern that will cause your shots to fly off in all kinds of unexpected directions if you don't tame it. Mastering recoil control is especially important as it’ll allow you to fire a quick succession of bullets wherever your crosshair is placed. At all levels of play you’ll face situations where you haven’t landed a headshot and need to pepper an enemy with rounds quickly to finish them off, or challenge multiple enemies at a time when taking your finger off the trigger isn’t an option. Ready to take your CS:GO skills to the next level? If so, our guide contains everything you need to know about getting on top of the game's intricate recoil system, with details of the spray patterns involved. Apply this knowledge in-game, keep practising and you'll notice a dramatic improvement to your performance. 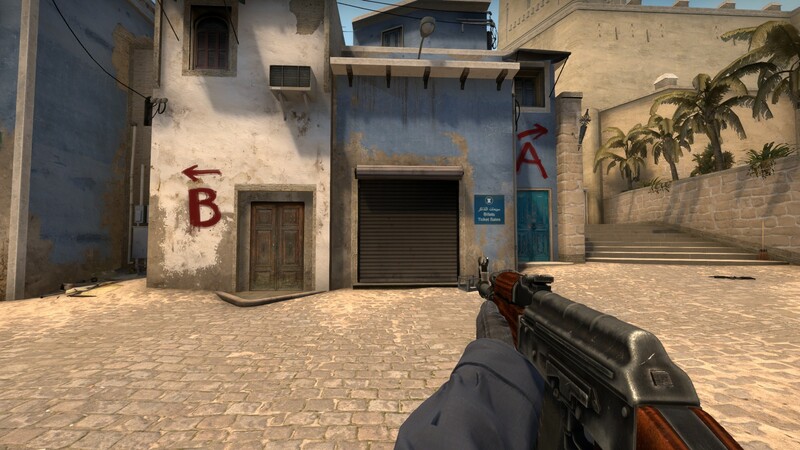 To make sense of recoil control and help you practice skills like “spray transfers”, we’ve put together a complete walkthrough right here. What is a spray pattern? When you pull the trigger in CS:GO, each weapon reacts in a different manner. The AK47 will react different to the M4A1-S, for example. The effect is more noticeable when you stand still, face a wall and hold the trigger until the magazine is emptied. The AK47 kicks upward fast, veering to the right, then to the left as the final few rounds are fired off. The M4A1-S veers left, then right, and in a steadier fashion. Inaccuracy refers to the randomness exerted on a fixed recoil pattern. Walking, jumping and climbing ladders are the main kickers when it comes to messing about with a gun’s spray pattern. Recoil functions just as you’d expect. It’s the fixed pattern that’s unique to each weapon and can be characterised as the motion of the gun when the trigger is pulled. Recoil decays gradually over time, so take your finger off the trigger and the weapon model will quickly default to its original position. For images of every weapon’s spray patterns, csgoskills.com has a brilliant page complete with detailed gifs for them all. As the name suggests, it’s controlling the spray pattern of each weapon so that all of your bullets end up going in the direction you want them to, rather than in all sorts of weird and wonderful locations. Recoil control boils down to moving your mouse in the opposite direction of the spray pattern, so that you’re manipulating the kick and sway of the gun to shoot bullets at the original placement of your crosshair. How can I practice recoil control? The best place to start is in an environment where you can get a proper feel for each weapon’s spray pattern without any other background distractions. A local server is the perfect place for this, as you can customise it to your liking with some exceptionally useful console commands. Go to “Options”, “Game Settings”, and flick “Enable Developer Console” to “Yes” if you haven’t done so already. Click “Play”, “Offline with Bots”, select your map, “No bots”, “Go”. Once you’re in, you’ll want to enable a bunch of console commands to make your experience much, much easier. First, you’ll need to open the console by pressing the [`] key which is next to the number  on your keyboard. sv_cheats 1 enables you to input the other two commands. sv_infinite _ammo2 gives you infinite ammunition, but you’ll need to reload between every magazine which makes things far more realistic. Finally, sv_showimpacts 1 will highlight where you’ve bullets have landed which makes it much easier to track how well you’ve controlled the recoil. There are also plenty of maps on the Steam Workshop where you can practice your aim too. For more on this, our How to improve your aim guide has you covered! First you’ll want to pick your weapon of choice and unload a few clips into a wall to gain a feel for how the pattern emerges. The AK47 is a great weapon to start with as it’s one of the most immediately obvious patterns. Learning to master this one will set you up nicely for the others. Next you’ll want to make further progress in increments. Practice pulling down smoothly on the mouse as you fire off a three round burst. Get a feel for how the weapon kicks up and counteract it with your mouse sweep downwards. Try and avoid being jolty, and definitely don’t rush the process. Keep things smooth and precise as you bring the mouse inwards. As for the bullet trajectory, you want all of them to be hitting the wall where your crosshair is placed. Once you’ve got the hang of a three-round burst, extend the pattern even more and focus on counteracting the sideways movement of the weapon. Again, it’s the same principle. Move your mouse in the opposite direction. It’s all about doing this over and over again, so that you ingrain this act into your muscle memory and it becomes second-nature. Rinse and repeat this incremental process until you’ve become comfortable with handling the entire spray pattern, and all of the bullets have formed a tight ball on the wall where your crosshair would’ve been. Don’t be deflated if this isn’t clicking straight away! Spray control is difficult and it’ll take you a lot of time and effort to get fully acclimatised to things. Keep plugging away and you’ll get the hang of it eventually. Now you’ve graduated from shooting the wall and you’ve got the hang of a spray pattern or two. It’s time to bring all this practice into the real CS world, and focus on spraying down some other human players. We’d highly recommend jumping into the Deathmatch playlist and forgetting about your score entirely. Instead, you’ll want to focus all your efforts on practicing your recoil control on every enemy that you see. This means spraying down enemies even if it’s not the optimal thing to do. Remember, this is all about working towards getting better at recoil control, not showing off at Deathmatch. Now that you’ve laid the groundwork, it’s time to get a little more advanced. Below we’ll be discussing recoil decay and spray transfers, both of which you’ll have a better understanding of once we’ve broken them down for you. The further you are in your spray, the longer it’ll take for your recoil to decay. This is something to bear in mind when you’re spraying down a target and want to switch your aim to someone else. For example, say you’ve fired a total of five shots at an enemy and eliminated them with the fifth bullet. Another enemy appears instantly, so you spend a split second moving your mouse over to their position, and begin shooting without thinking about recoil decay. The bullet whizzes above their head because you’ve not compensated for the recoil that’s still present. Tap the trigger on a different target once you’ve fired off a few shots. Practice burst firing on a single point. Then burst fire on a target, rest for a split second, then begin burst firing again, all while trying to control the recoil. Burst, strafe, stop, burst. Repeat. The act of flicking your aim to a different spot while in the middle of a spray is something of an artform. We’d recommend practicing this on a local server, or on some bots. Focus less on where your crosshair’s positioned when transferring, and more on where the bullets are travelling. We know this sounds strange, but it’s more of a “feel” you’ll develop once you begin practicing. To further your spray transfer ability, make sure you’re using it on deathmatch servers and in traditional bomb defusal modes. To top off this guide, TheWarOwl's video which we've linked above contains a complete overview of what we've covered here and it's a brilliant resource in general. Ex pro-player n0thing's old video still holds up today if you want to see this kind of thing tackled by the best. While it's advanced stuff, it's definitely worth a watch as it explains a lot about "feel" and the fact that pro players aren't wizards who manipulate an entire spray to shoot at one fixed position. Instead he makes the point of saying that as you become more comfortable with spray patterns, you'll begin using their natural side to side movement to your advantage. If an opponent moves left and you know that the spray pattern sways left at a certain point, you won't even need to counteract it, you'll just let it happen!